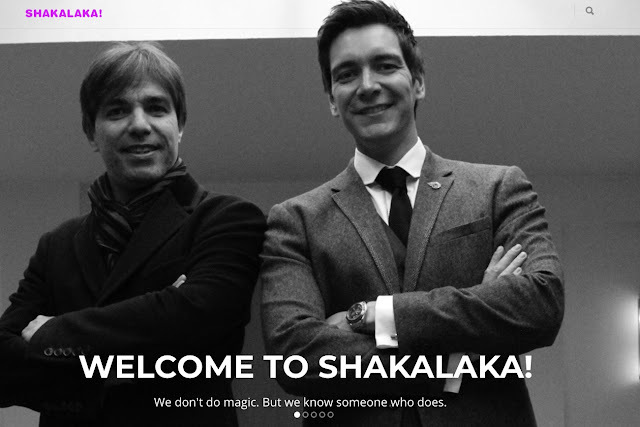 Testing the Moleskine smart notebook | Shakalaka! The outside is pretty, as we are used to from Moleskine... The back has the explanation of the way this notebook should be used. The inside looks like a normal Moleskine too... Only... if you look closely, the line is not a line but a collection of dots on a row. Wrote a couple of lines in black. Scanned... Same thing... but hey... wait a minute... What is this? There is nothing wrong with using the fountain pen. Evernote finds the words in my first note... YES! It works! 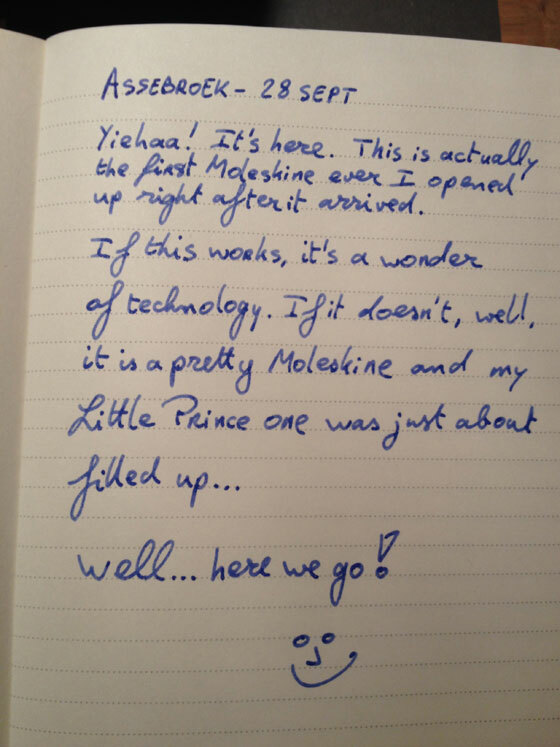 I had kind of imagined that Evernote would convert my written text into digital text. It does not... but... it does recognize the writing, after you give it time to do whatever it does ;-) This immediately turns the programme into an internationally usable one. 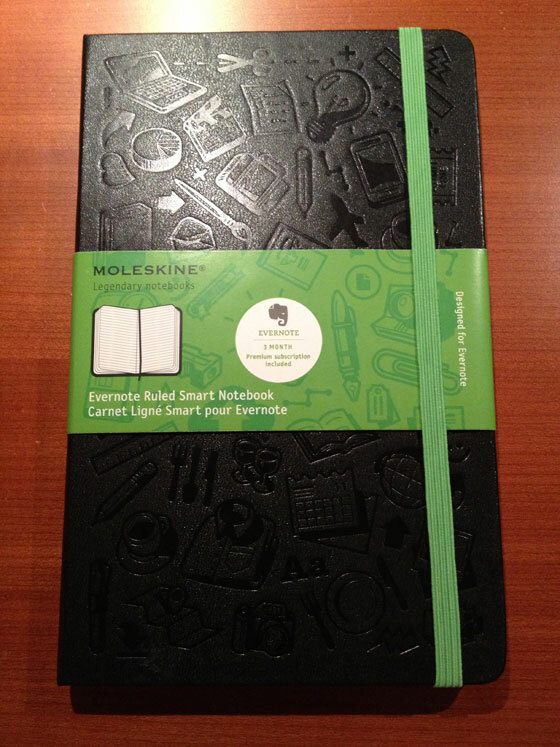 I would have liked it to convert my to do lists from my notebook to Evernote... But hey... we've got Nozbe for that :-) So yes... it works and it does what was promised. Make your handwritten notes searchable.